Potential abusers will avoid involvement in a program where there is a likelihood that suspected abuse will be reported. When sport stakeholders are untrained about how and when to report suspected abuse, they may feel ill-prepared, powerless and lost when it comes to responding to, and reporting, misconduct. By providing this guidance on when and how to report suspected misconduct, the U.S. All Star Federation seeks to remove barriers to disclosing misconduct, including child physical or sexual abuse and misconduct. - If child abuse is occurring, call 911 immediately. - If you suspect or know of child abuse, call local police or child services. If you suspect or have knowledge of abuse or misconduct in any item that is covered in the USASF SafeSport code, any or our Pro-Active Policies or the Professional Responsibility Code please make a report to the U.S. All Star Federation. We prefer for all Reports to be made using an online form. This will provide the reporter with a format that is consistent and thorough - and speed up the process for action as the report will answer most of the questions the case manager will need. Any person, regardless of their membership status or affiliation with the USASF, may file a complaint with the U.S. All Star Federation for any suspected, alleged or known violation of the USASF SafeSport Code or policies that are intended to protect another member from misconduct and abuse including the required Membership Policies. All reports will be treated as confidential. The USASF will accept anonymous reports and investigate every report of abuse or misconduct. 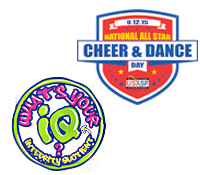 The U.S. All Star Federation strongly encourages parents, participants and other persons affiliated with All Star to communicate violations of the U.S. All Star Federation SafeSport Code, allegations and suspicions of child physical and sexual abuse and other conduct inconsistent with the policies set forth to protect athletes to the All Star Program's owner or program administrator immediately, and if appropriate or required, to local law enforcement and to the U.S. All Star Federation. Failure to report suspicions or allegations of child physical or sexual abuse to the appropriate law enforcement authorities is a violation of this policy, the USASF SafeSport Code, the USASF Sexual Abuse and Prevention Policy, and the Professional Responsibility Code (hereby referred to as PRC) and is grounds for disciplinary action. To the extent permitted by law, and as appropriate, the U.S. All Star Federation and all U.S. All Star Federation Member Programs shall, on request from the complainant, keep the complainant's name confidential, not make public the names of potential victims, the accused perpetrator or the people who made a report of child physical and sexual abuse to the authorities. The U.S. All Star Federation recognizes it can be difficult for an athlete, teammate, friend or family member to report an allegation of misconduct and strives to remove as many barriers to reporting as possible. It should be understood by all parties, including the complainant, that anonymous reporting may make it difficult for the U.S. All Star Federation or the All Star Program owner or administrator to investigate or properly address misconduct or abuse. Despite the limitations inherent in allowing anonymous reports they will be accepted, investigated and acted upon to the extent which the information provided allows. Via email to U.S. All Star Federation or to the Program owner or administrator. Regardless of outcome, it is the policy of the U.S. All Star Federation and all U.S. All Star Federation Member Programs to support the complainant(s) and his or her right to express concerns in good faith. Neither the U.S. All Star Federation nor any U.S. All Star Federation Member Program will encourage, allow or tolerate attempts from any individual, group or organization to retaliate, punish, or in any way harm any individual(s) who report(s) a concern in good faith or otherwise participates in an investigation (e.g. , a witness). Such actions against a complainant, witness or other complainant will be considered a violation of the U.S. All Star Federation SafeSport Code and the PRC and thus grounds for disciplinary action and may also be subject to civil or criminal proceedings. Bad-faith allegations are prohibited. A report of abuse, misconduct or policy violation that is malicious, frivolous or made in bad faith will be considered a violation of the U.S. All Star Federation SafeSport Code and the PRC and thus grounds for disciplinary action. Depending on the nature of the allegation, a person making a malicious, frivolous or bad-faith report may also be subject to civil or criminal proceedings. Any person or organization who may have a conflict of interest because they are named in a complaint, are a witness to an allegation, are closely affiliated with the person accused of misconduct or may have other potential bias are considered to have a conflict of interest in the investigation or outcome of the complaint and shall be recused from participating in an investigation or other disciplinary process. The investigation and hearing process shall be handled by persons who are reasonably disinterested and impartial to the matter and all other persons and the program involved. An independent investigation can harm youth and/or interfere with the legal investigative process. Accordingly, the U.S. All Star Federation, its Member Programs and their administrators, employees and/or volunteers shall not attempt to evaluate the credibility or validity of allegations of child physical or sexual abuse as a condition for, or prior to, reporting to appropriate law enforcement authorities. As necessary, however, a person receiving a report may ask a few clarifying questions of the minor or person making the report to adequately report the suspicion or allegation to law enforcement authorities. Reports to the U.S. All Star Federation are initially handled by the U.S. All Star Federation General Counsel and the U.S. All Star Federation Athlete Protection Team. U.S. All Star Federation and its Member Program owners and administrators will take a report in the way that is most comfortable for the person initiating a report, including an anonymous, in-person, verbal or written report via email or utilizing the online reporting form. A summary statement of the reasons to believe that misconduct has occurred. Any report of misconduct or suspicion of child physical or sexual abuse will be taken seriously and handled appropriately. If the U.S. All Star Federation receives a report of physical or sexual misconduct involving a minor the U.S. All Star Federation will make a report to the proper authorities. In addition to any legal obligation to report sexual abuse or misconduct to law enforcement authorities, all Covered Individuals are required to and shall promptly report any alleged violations of the Sexual Abuse and Misconduct Policy to the U.S. All Star Federation. A Covered Individual's failure to report may subject such person to disciplinary action. Additionally, in all cases involving suspicions or allegations of child physical or sexual abuse, it must also be reported to the appropriate law enforcement authorities. When a bullying, harassment, hazing, emotional, physical abuse, sexual abuse or other abuse allegation is not reportable under relevant state or federal law, the Member All Star Program and/or the U.S. All Star Federation shall internally address and investigate the alleged policy violations and misconduct and will impose discipline where appropriate. Likewise, violations of the U.S. All Star Federation's pro-active Membership Policies including the Sexual Abuse and Prevention Policy, Electronic Communications Policy and Addressing Bullying Policy shall be reported to the Member All Star Program and the U.S. All Star Federation to address, rectify and impose discipline where appropriate. If the accused is a member of the USASF, the U.S. All Star Federation will revoke the eligibility status of the accused until the allegation has been investigated by an official entity. This shall apply whether or not the allegation involves an incident during an All Star activity or event. When a policy violation is reported to the U.S. All Star Federation, the immediate action will be to revoke the eligibility status of the accused until the allegation has been investigated by an official entity and the next action steps have been determined. This shall apply whether or not the allegation involves an incident during an All Star activity or event. Following the receipt of a allegation that results in the removal of an employee, volunteer, independent contractor and/or other participant, the All Star Program may consider the circumstances in which it will notify parents of other participants with whom the accused individual may have had contact. Advising others of an allegation may lead to additional reports of child physical or sexual abuse and other misconduct. The USASF reserves the right to publish a list of individuals whose membership has been suspended or revoked related to Athlete Protection. Notification to USASF Members will be based on the recommendation of the organization's legal counsel. All local programs shall promptly notify the U.S. All Star Federation of the results of any investigations within their program that involve violations of the U.S. All Star Federation SafeSport Code, the PRC or other applicable policies outlined in the USASF SafeSport Code or PRC. The U.S. All Star Federation will notify the Program Owner of the results of any investigations of members associated with their program that involve violations of the U.S. All Star Federation SafeSport Code, the PRC or other applicable policies outlined in the USASF SafeSport Code or PRC. The U.S. All Star Federation, at the request of the complainant, may supply a summary report of the action taken. The requested report will be provided to the extent that the sharing of such information will not hinder a legal investigation and is permitted under the extent of the law. All requests will be forwarded to our legal counsel for approval.